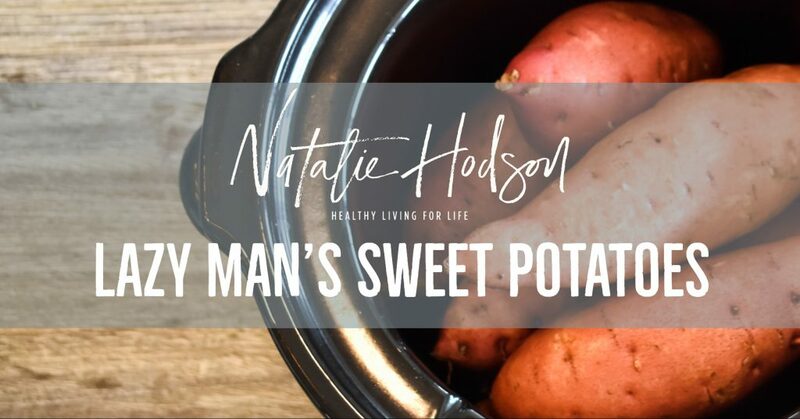 This is my favorite ‘lazy man’ (or woman) sweet potato method. You do not need to add water. There will be some water on the potatoes from washing them and they will ‘sweat’ as they cook creating moisture. I promise, it works great just using this simple two-step method! Cook on high for 4 hours, until soft. Sometimes I throw in a few red potatoes and will mash them all up together for dinner with salt, pepper, and garlic powder.